pinky (Grade: A) Fascinating book that kept me hooked from beginning to end. Once again, Brandon Sanderson creates a world that is somehow completely different from anything I've ever read or imagined. Fantastic characters, wonderfully likeable protagonists; simply a great epic fantasy novel. I can't wait for the next. Obie (Grade: A–) The Way of Kings is a magnificent start to an epic fantasy series. Sanderson created a truly unique world and matched the culture to harsh world he created. The story is the greatest driving force in the book and is by far the best part of the book. The characters can be a bit flat at times and are somewhat predictable, but they are really likable in most instances. 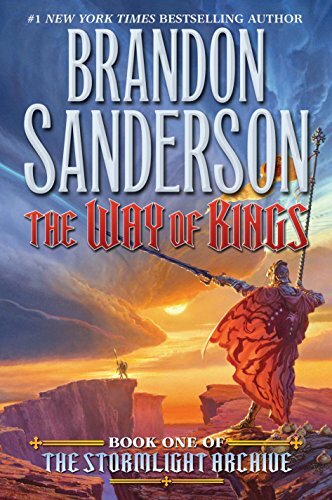 toma (Grade: A–) Brandon Sanderson takes on another huge project, beginning a ten book series which begins with The Way of Kings. With three fascinating plotlines, each with their own memorable characters, it is hard not to get emotionally involved in the fates of Sanderson's creations. Although the book is larger than most commercial debuts for such a large series, it never seemed to drag for me and was well worth the more expensive price tag. Eagerly looking forward to future instalments. Alerak (Grade: A) This was my first exposure to Sanderson's work, and I was absolutely blown away. Many times, the masters of fantasy are too wordy or too caught up in world building to create a truly addictive novel. That critique does not hold true for The Way of Kings, which is easily one of the best fantasy novels I have ever read. It's full of believable characters, everyone from Kaladin to Sadeas, the world is beautifully developed without detracting from the narrative, and the plot is exciting. Otlo (Grade: A+) A must read, I have been eagerly waiting for the sequel for a good three years now.